The development of integrated medical tools continues to be a major focus of the biotechnology industry. While medicine has advanced more than ever, there are significant labor and equipment costs associated with most procedures, which are cumbersome to patients, clinicians, and laboratory technicians. With the ongoing developments in micro- and nanoelectronics, next-generation strategies for diagnostics and treatment are emerging to realize a new healthcare paradigm with more patient-oriented, time-efficient, and data-rich capabilities. Capsule endoscopy is an excellent example that brings unprecedented opportunities to medical practitioners, both expanding the quality and quantity of information available to physicians investigating gastrointestinal (GI) disorders and reducing risks associated with conventional endoscopy. The technological platform has opened the gateway for a multitude of in vivo, minimally invasive health care devices, though few have achieved clinical relevance. Our group is focused on adapting and demonstrating enabling fabrication technologies toward expanding the device boundaries and addressing various challenges associated with in-situ clinical applications. Specifically, we design hybrid packaging strategies, combining 3D printed capsules with pH-selective polymers, for controlled fluidic sampling in target GI regions for ingestible diagnostics. While this project focuses on protecting our microelectronics systems to target regions of interest, our in-vitro work has been tailored for monitoring and inhibiting growth of microorganisms over a flexible platform that lays the foundation and extended utility for performing real-time, in-situ sensing and treatment in applicable physiological regions. In parallel, we are exploiting potential advances in the sensor performance via integration of virus-based macromolecules in the drive for highly selective, sensitive, and clinically viable functions. This talk will highlight respective challenges in biomedical device development and our group’s approaches in not only pushing the boundaries for various fabrication strategies, but adapting them for application in on-demand healthcare domains. Reza Ghodssi is the Herbert Rabin Distinguished Chair in Engineering and Director of the MEMS Sensors and Actuators Lab (MSAL) in the Department of Electrical and Computer Engineering (ECE) and the Institute for Systems Research (ISR) at the University of Maryland (UMD). Dr. Ghodssi‘s research interests are in the design and development of micro/nano/bio devices and systems for chemical and biological sensing, small-scale energy conversion and harvesting with a strong emphasis toward healthcare applications. Dr. Ghodssi was director of the Institute for Systems Research (ISR) for eight years (2009-2017). During this time, he launched a number of interdisciplinary initiatives such as the Maryland Robotics Center (MRC) and the Brain and Behavior Initiative (BBI), aimed at enhancing the impact of ISR research efforts on society while building a more interactive faculty, staff and student community across different disciplines in the institute. 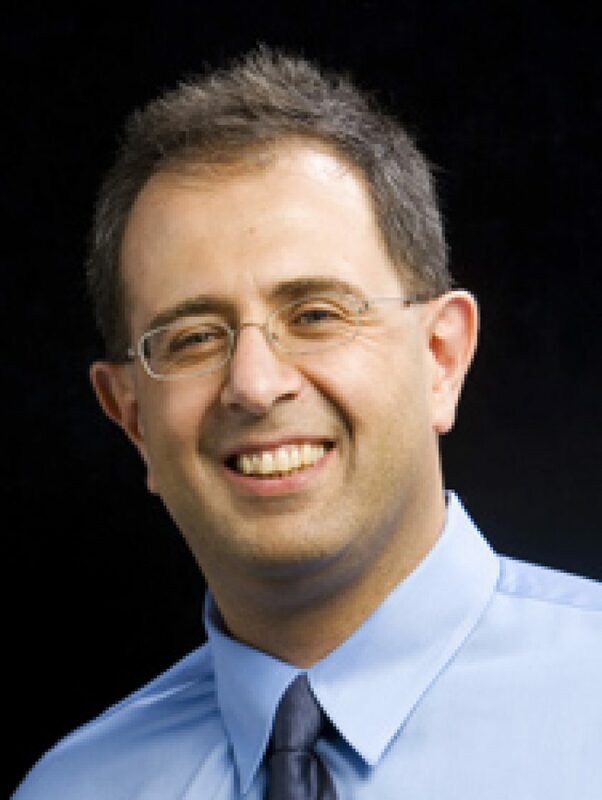 Dr. Ghodssi is a University of Maryland Distinguished Scholar-Teacher, a Fellow of IEEE, AVS, and ASME, has over 148 journal publications and 323 refereed conference papers, and is the co-editor of the MEMS Materials and Processes Handbook published in 2011. He is an associate editor for the Journal of Microelectromechanical Systems (JMEMS) and Biomedical Microdevices (BMMD). Dr. Ghodssi has obtained eight U.S. patents, with another seven pending and is the recipient of the 2017 University of Maryland Invention of the Year Award in the Life Sciences category.